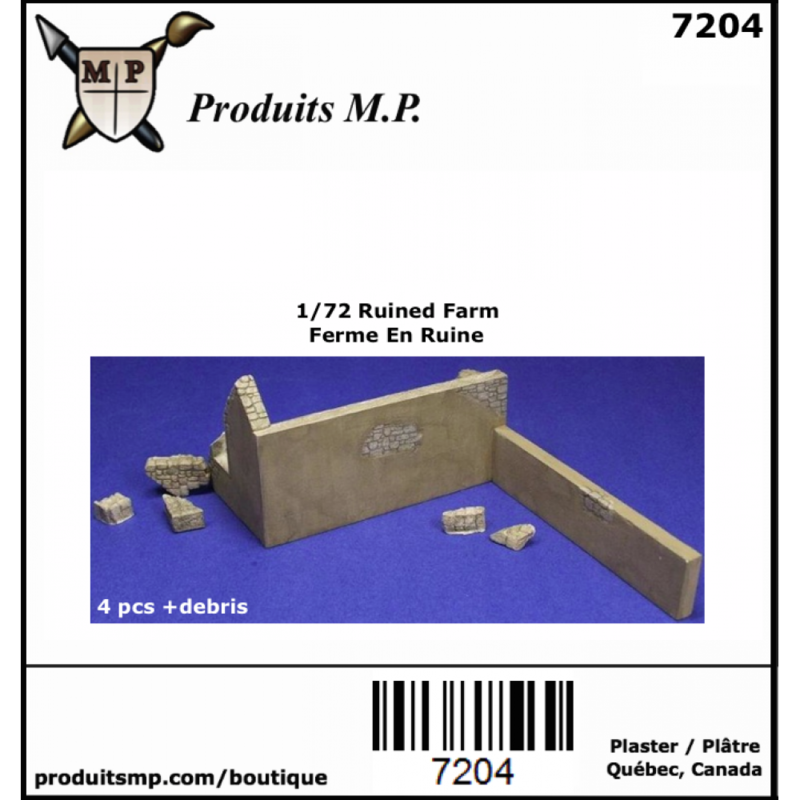 Plaster farm house ruined for 1/72 military diorama. L 3" 11/16 x W 5" 5/16 x H 2"
This 1/72 ruin will look great in any diorama. Just had your favorite tank, figures and accessories. Heavy wood crates for HO train layouts Plaster crates for HO, 1/72 scale. 5 pieces. Model b..
Small wood crates for HO train layouts Plaster crates for HO, 1/72 scale. 36 pieces. Model ..
Wood crates for HO train layouts Plaster crates for HO, 1/72 scale. 12 pieces. Model by Pr.. Medium tarp covered load for HO scale (1/87) Our tarp covered load are made of Hydrocal pla..
Wood crates for HO train layout. Plaster crates for HO. 20 pieces. 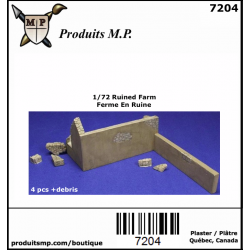 Model by Produits MP. ..